Re-enact one of the greatest endings in movie history that nobody saw coming, no not even you, and no not even that guy your friend knows, with the Kobayashi mug. 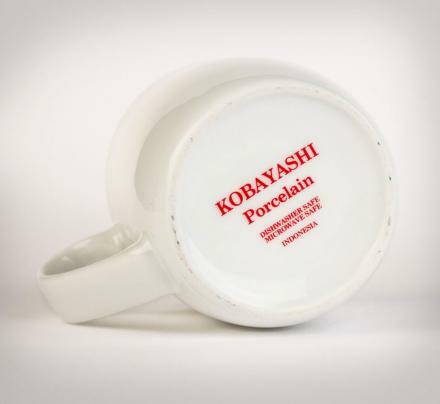 The Kobayashi mug is really just a regular white mug with the words KOBAYASHI written on the bottom of it that is featured on the hit classic crime thriller 'The Usual Suspects' from 1995. As the main detective in the movie drops it on the floor and shatters it, he comes to the sudden realization that his coffee is too hot. Ok, not really but we don't want to spoil the ending for you if you're one of those weird people who has seemed to avoid watching this movie for whatever terrible reason you might have. I mean Benecio Del Toro's scene at the beginning of the movie when he says " Hand Me The Keys..." is one of my personal favorites. 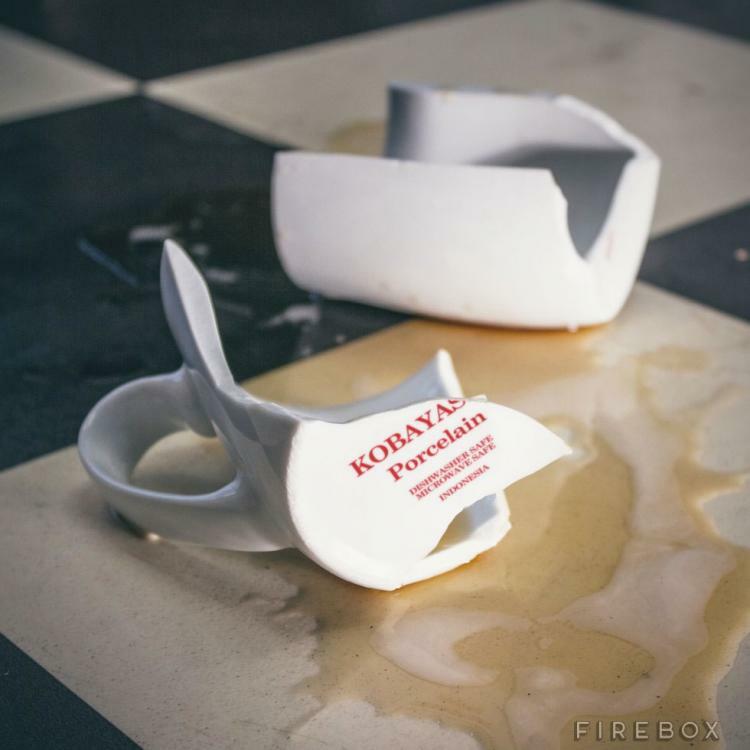 The Kobayashi coffee mug is made from porcelain, is dishwasher and microwave safe (as it states on the bottom of the mug), comes packaged in a branded presentation box, and no you won't receive a broken or shattered mug, it will be fully intact, and fully use-able to re-enact your own self realization scene. If you like, check out the scene in The Usual Suspects where the Kobayashi mug is shattered on the floor via the video below (SPOILER WARNING).